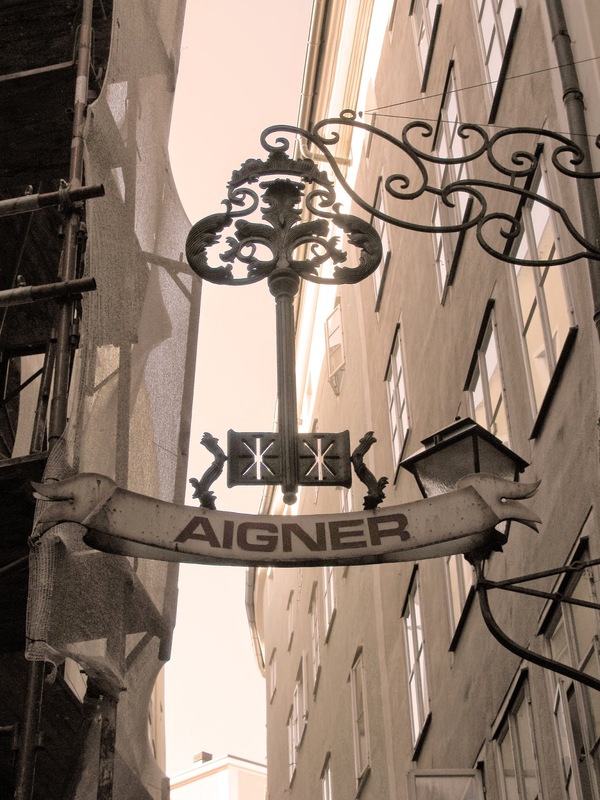 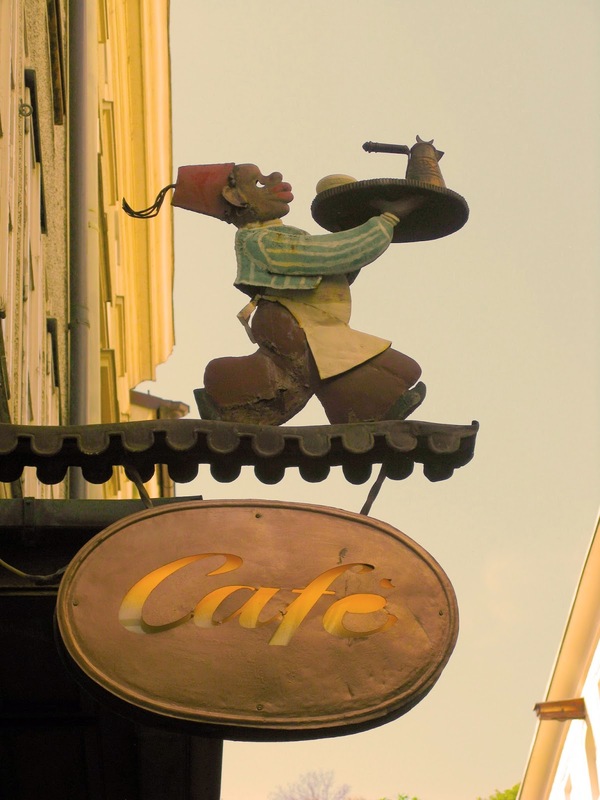 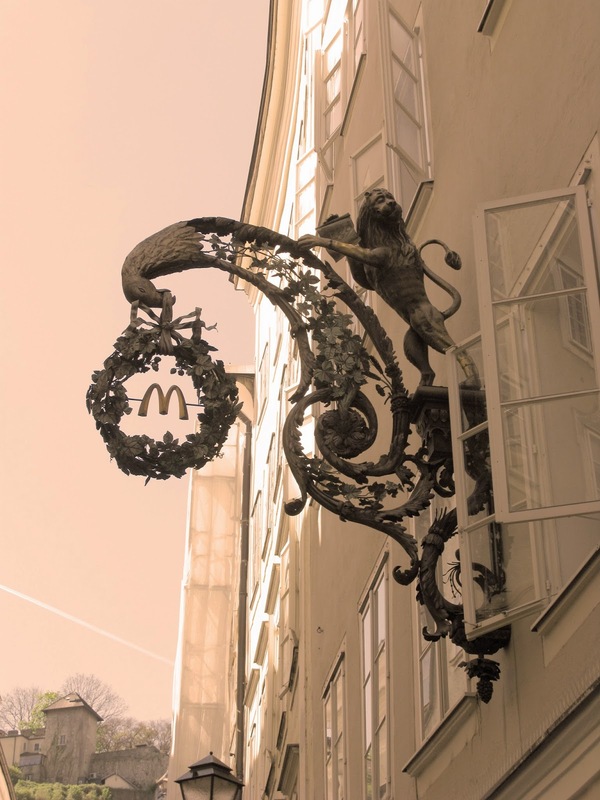 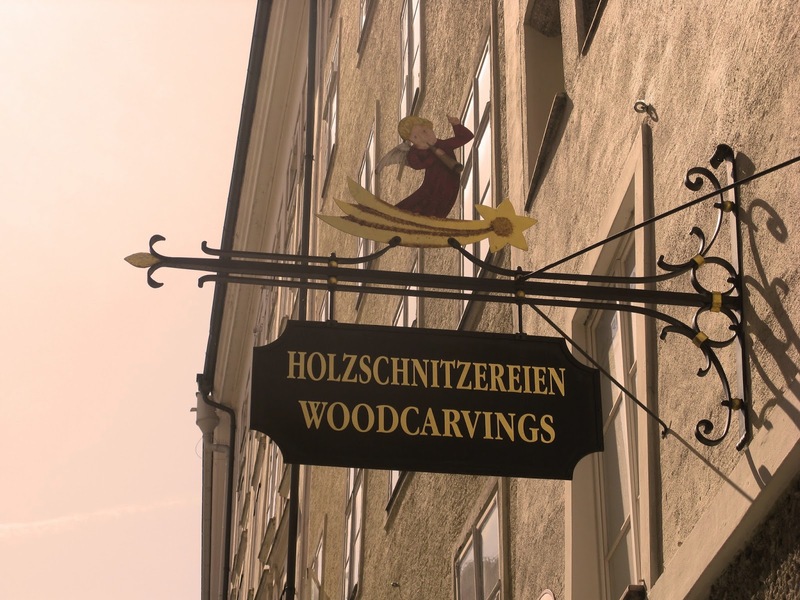 Hanging shop signs are the predecessors of logos. 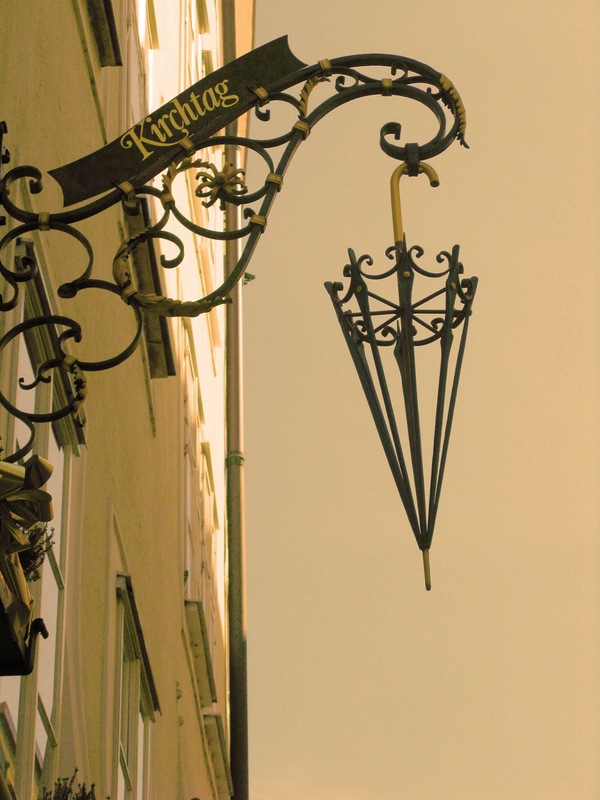 They were popular in sixteenth and seventeenth centuries. 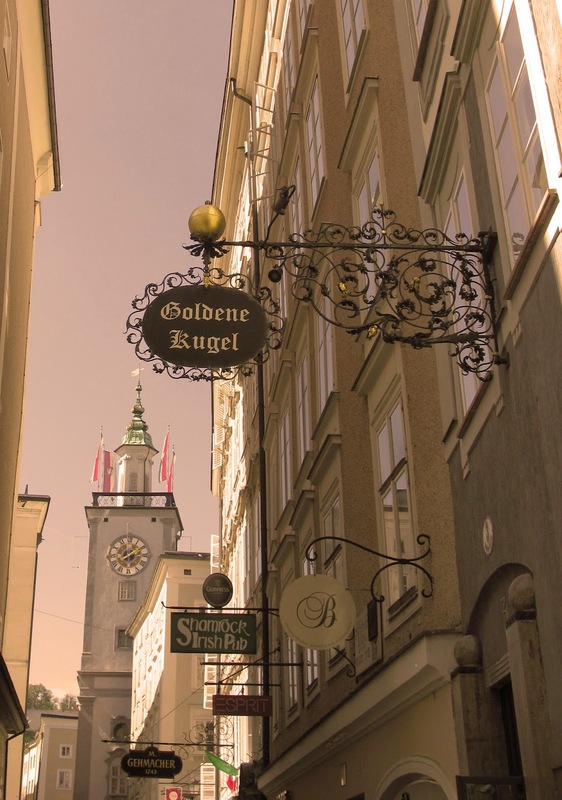 These ones are from Salzburg. 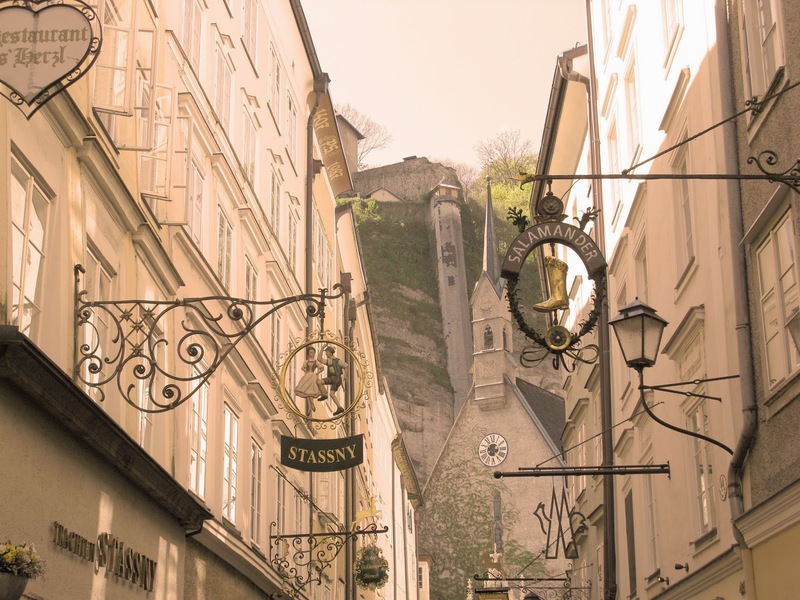 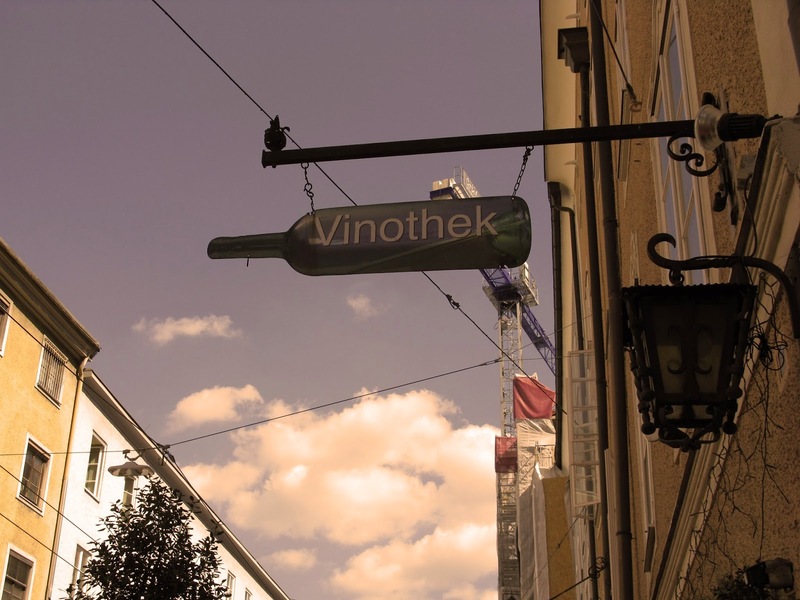 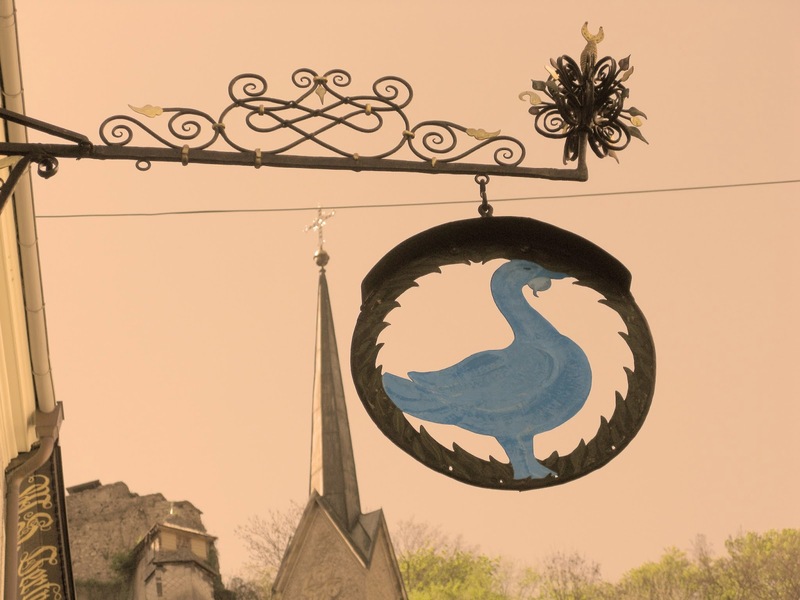 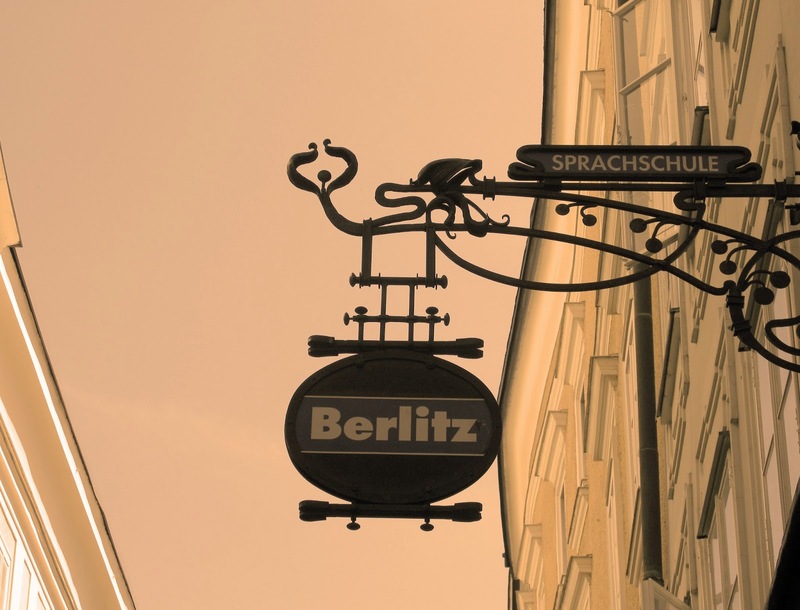 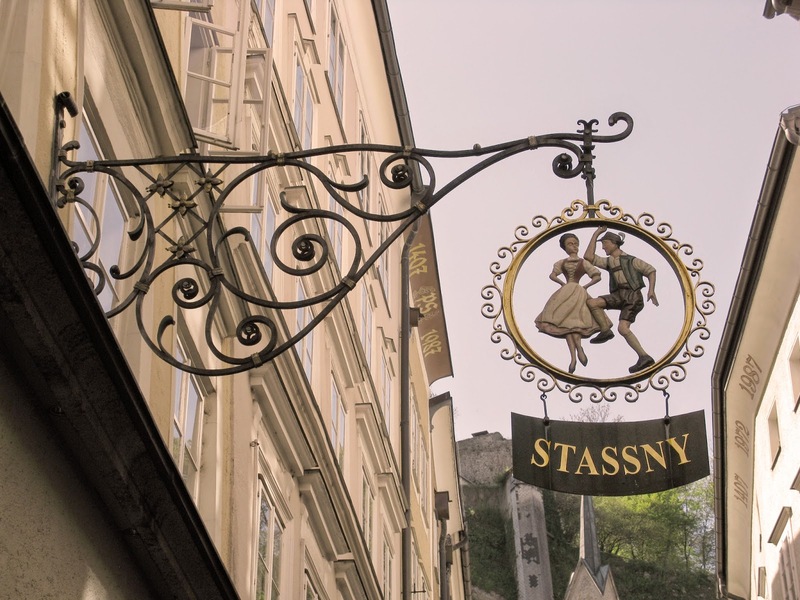 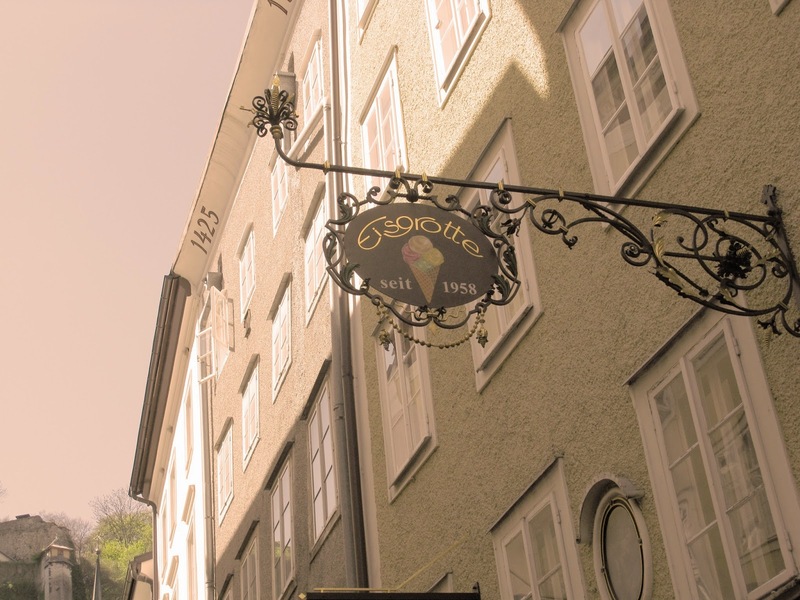 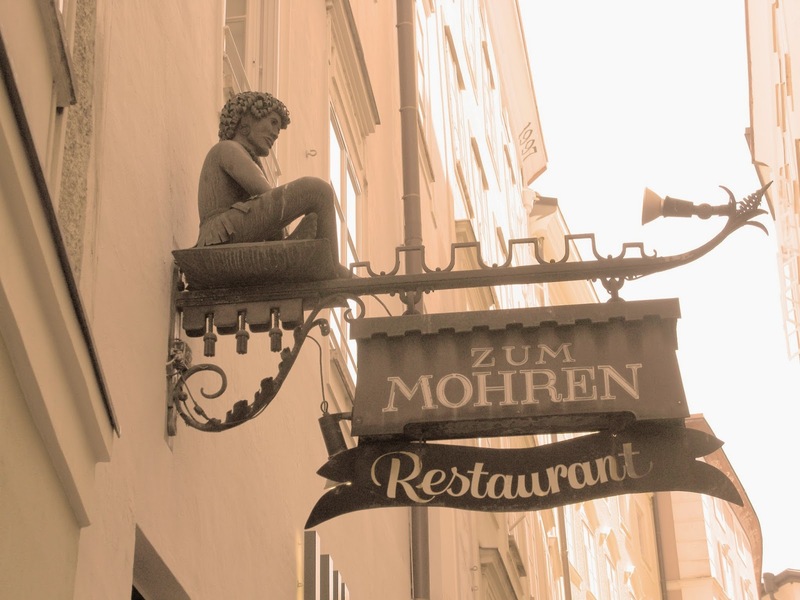 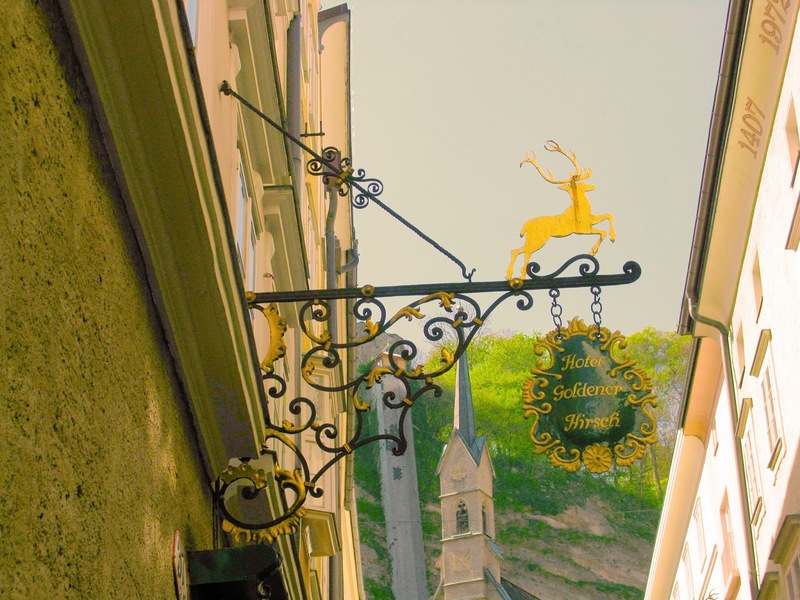 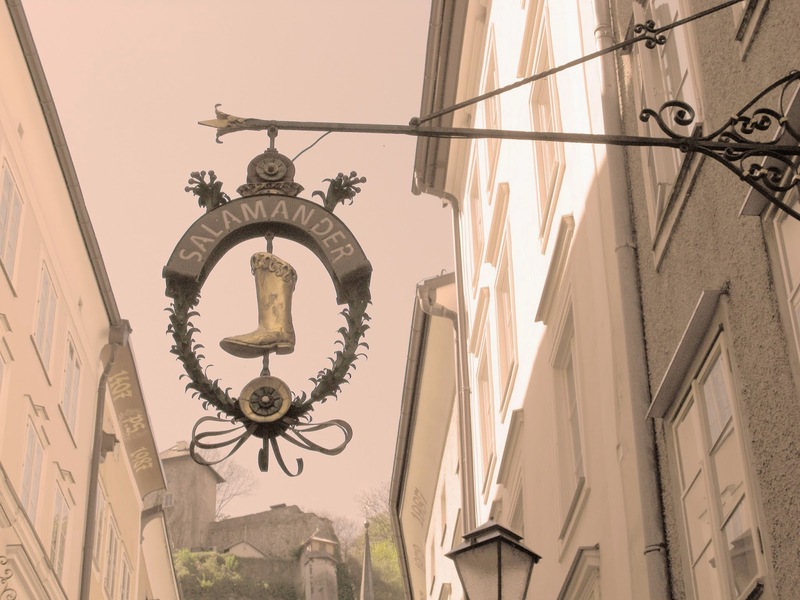 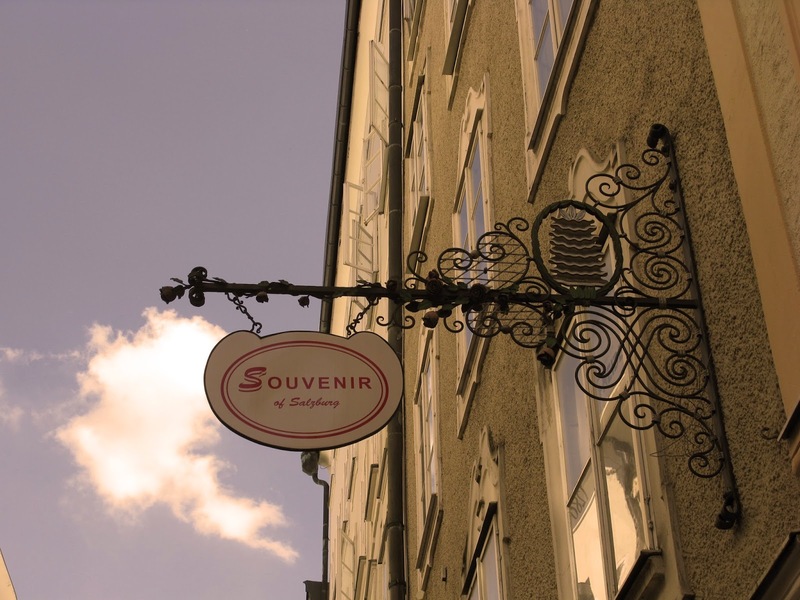 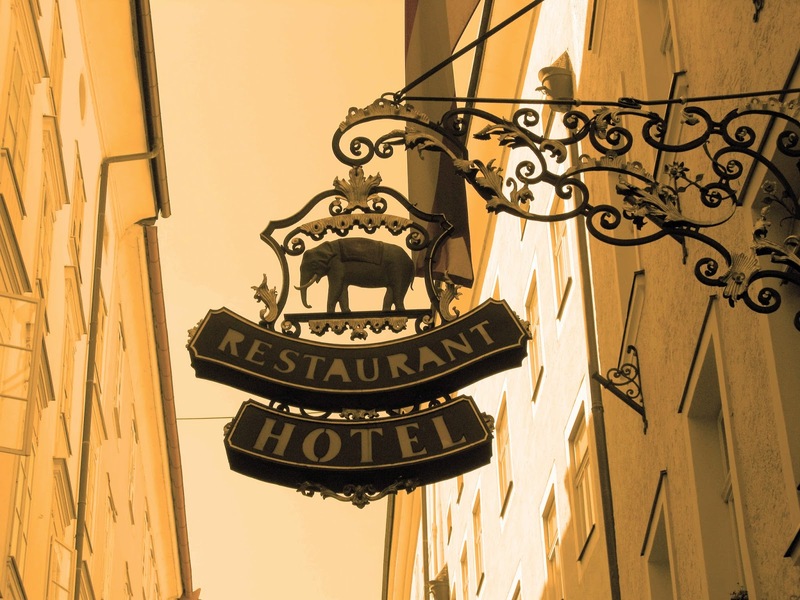 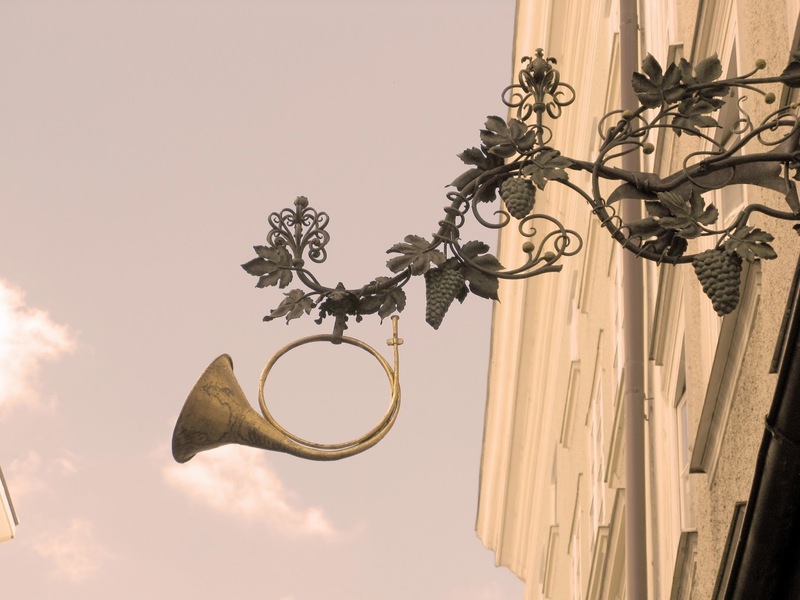 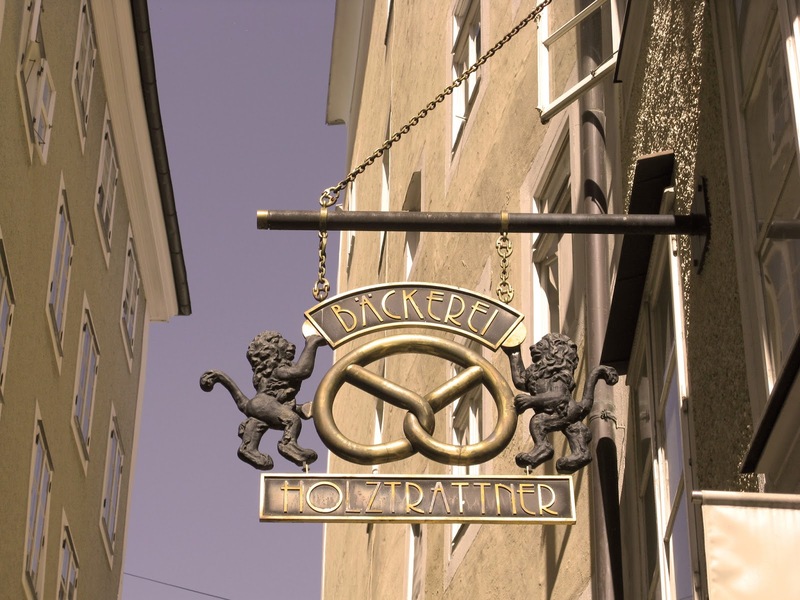 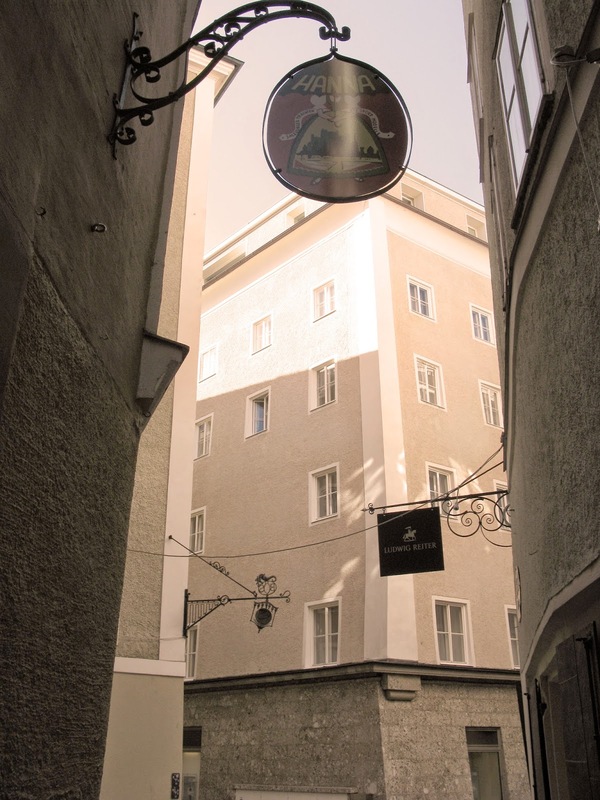 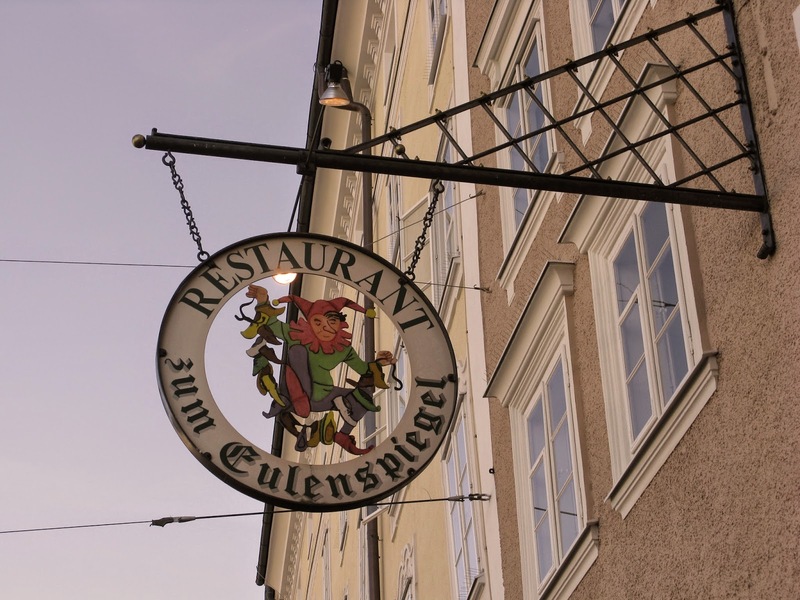 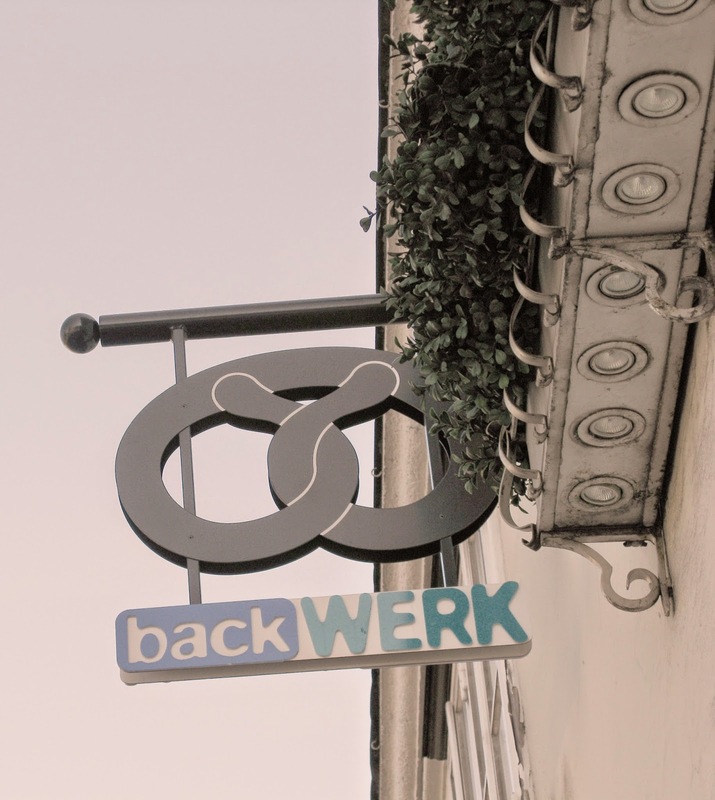 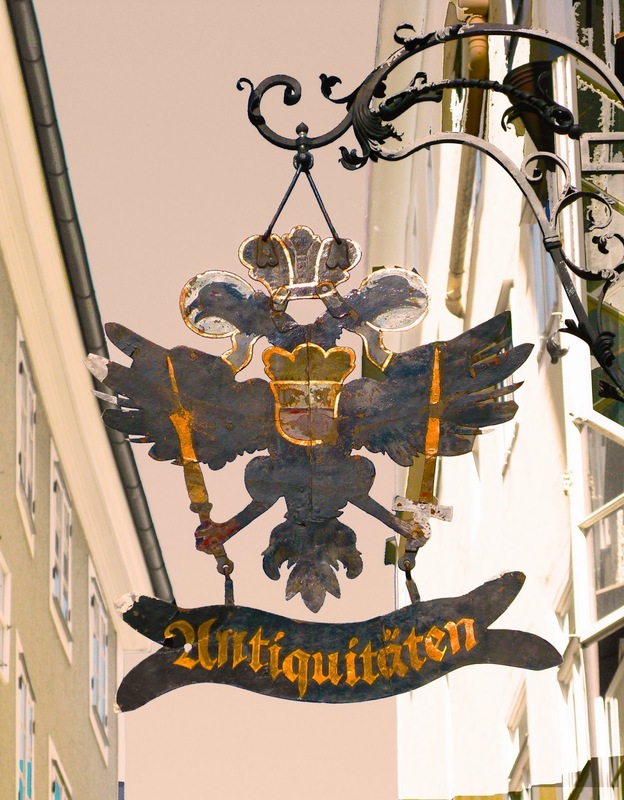 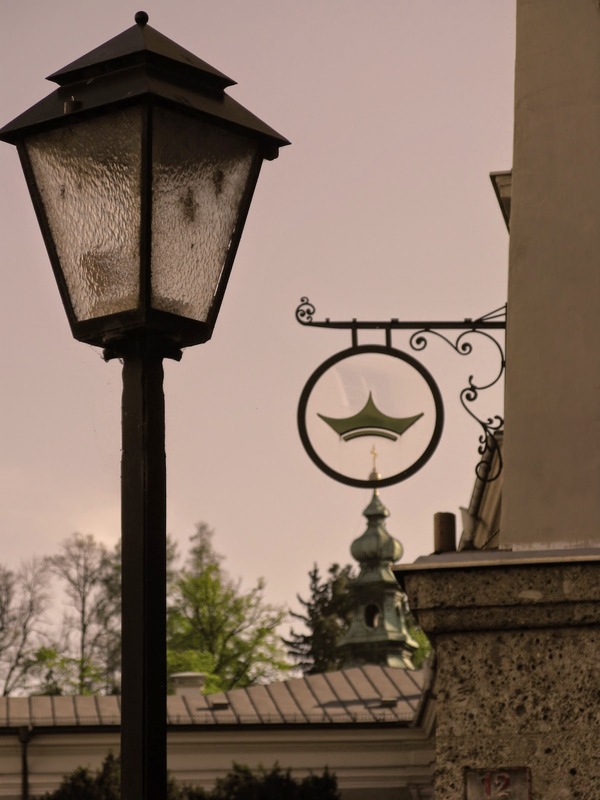 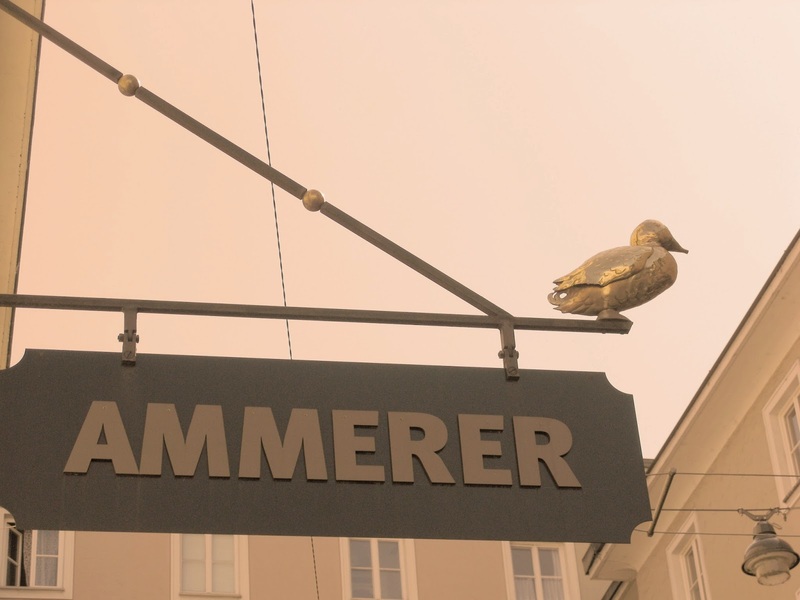 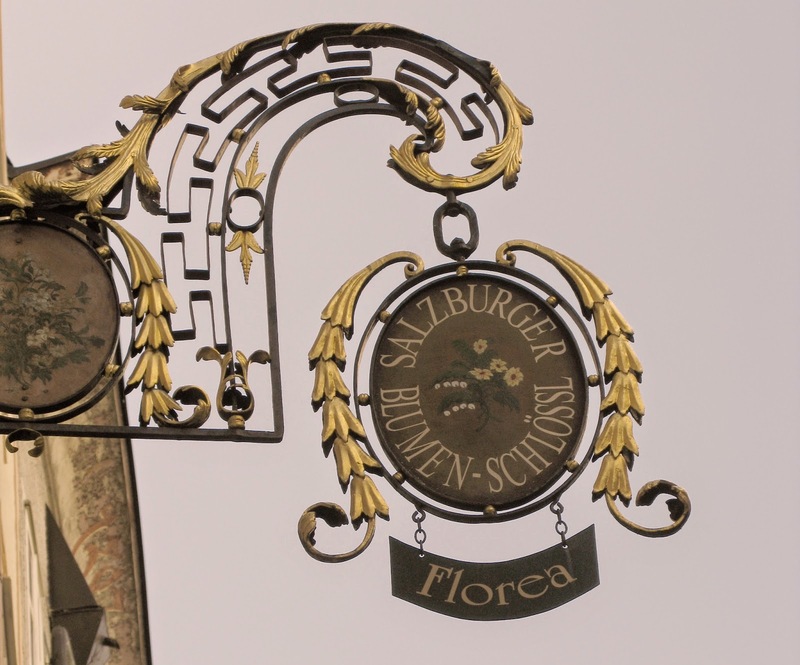 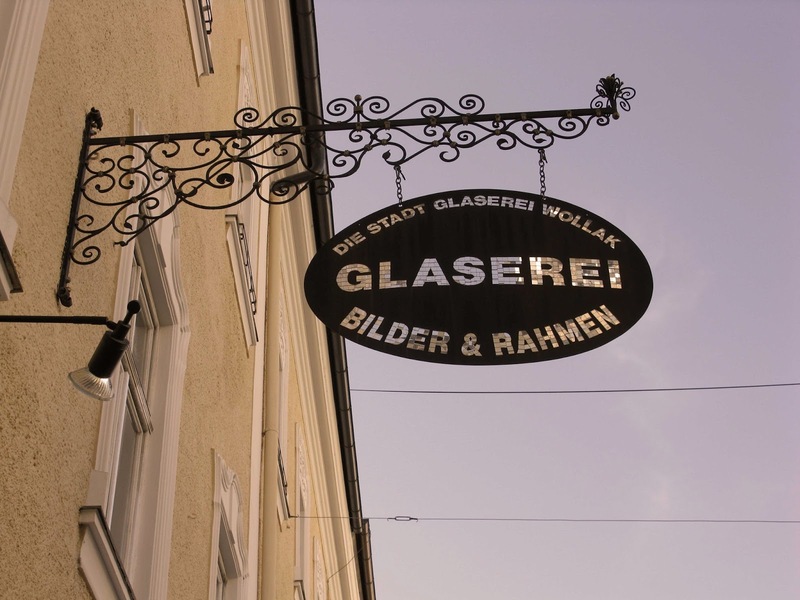 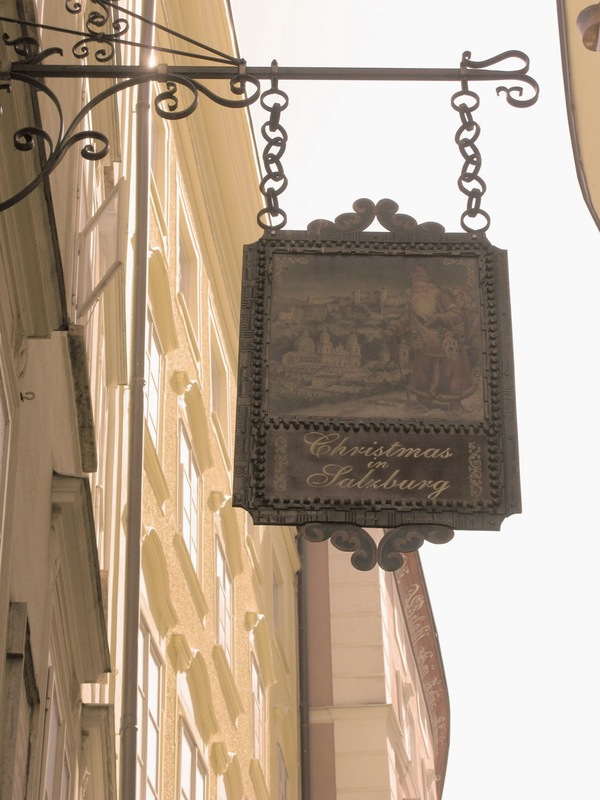 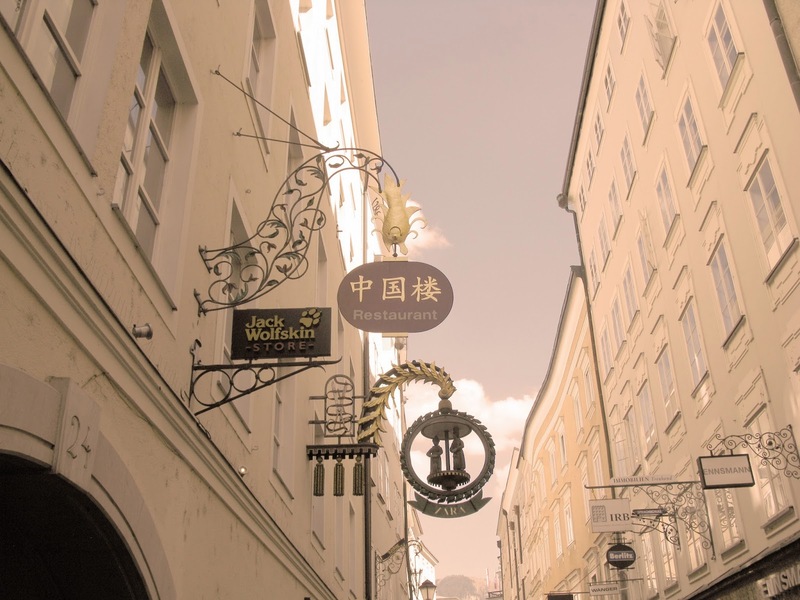 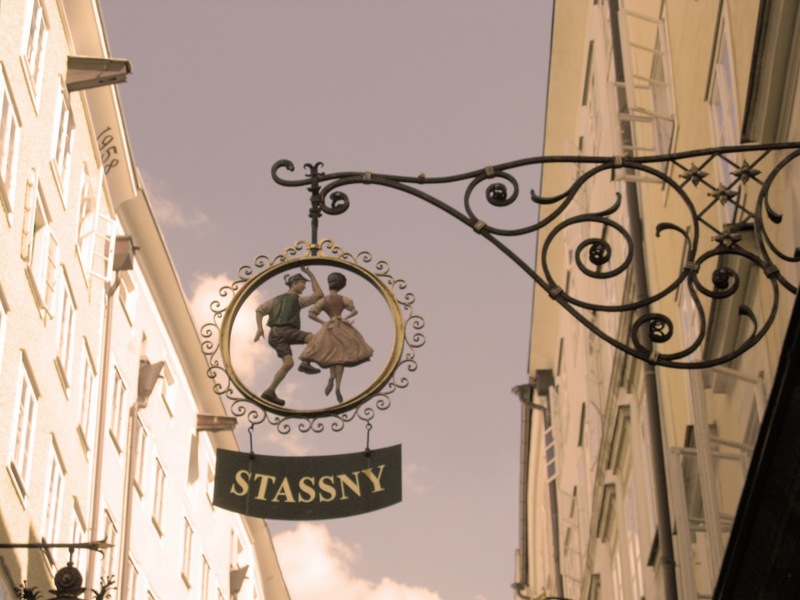 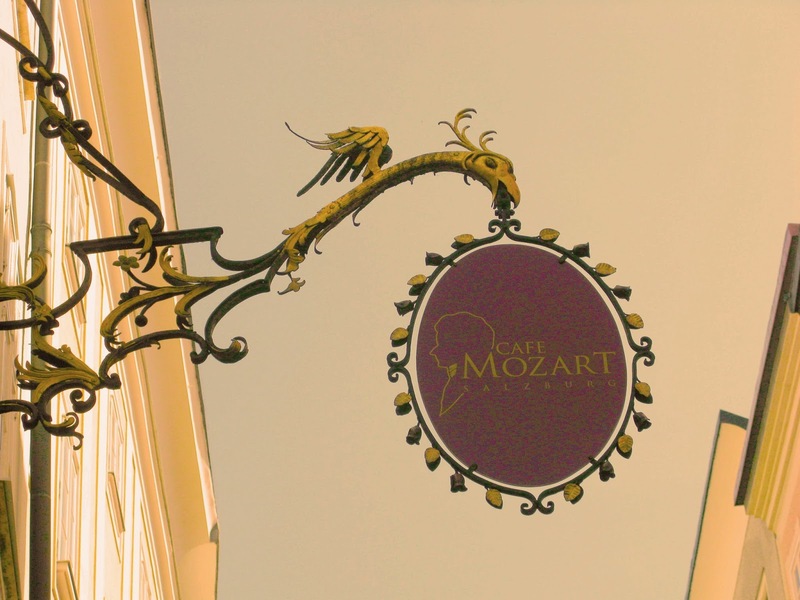 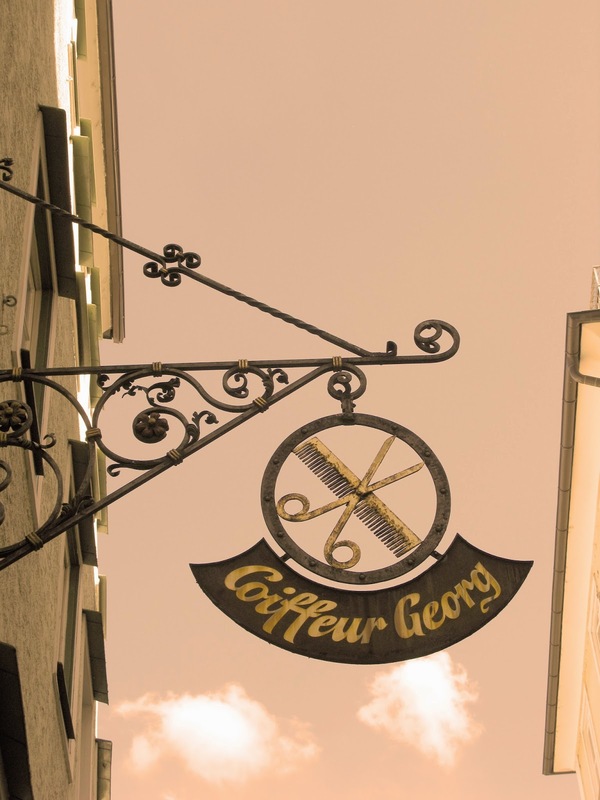 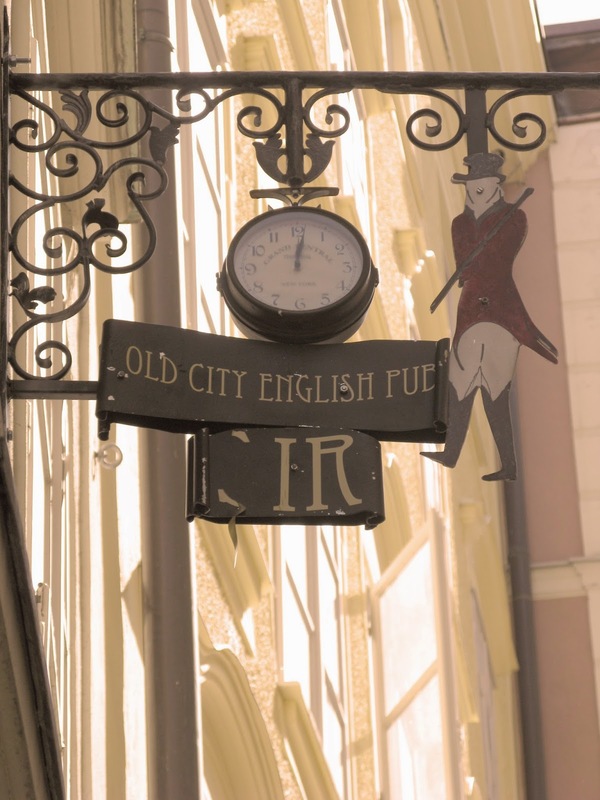 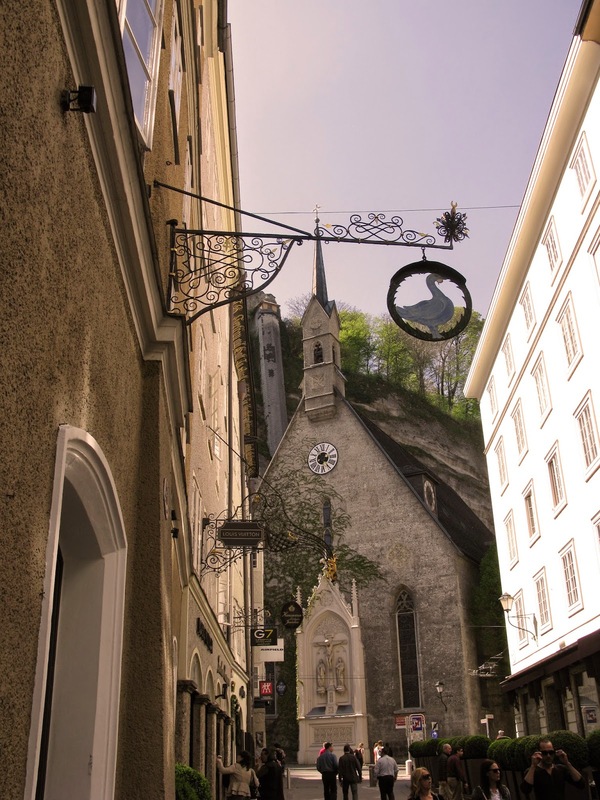 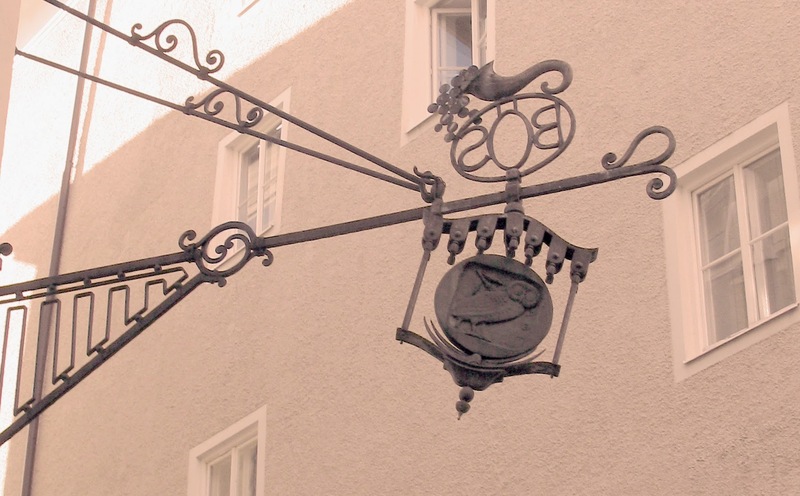 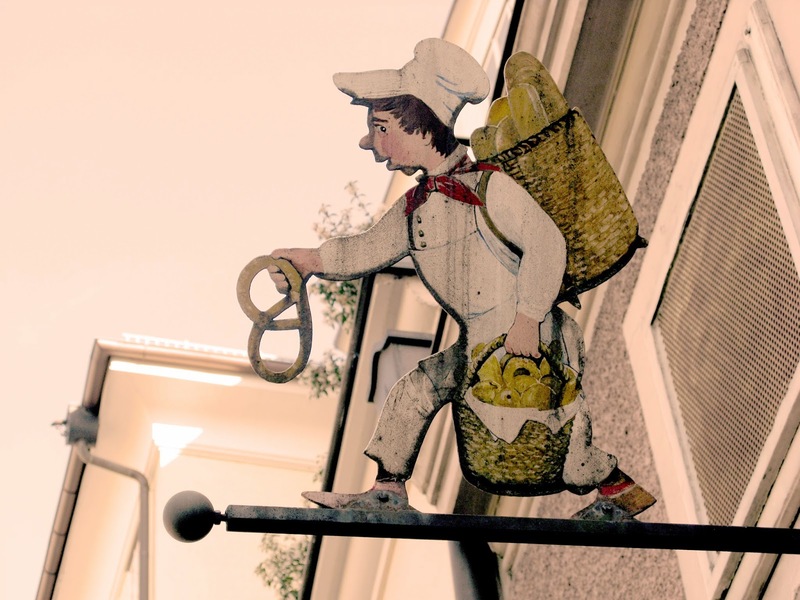 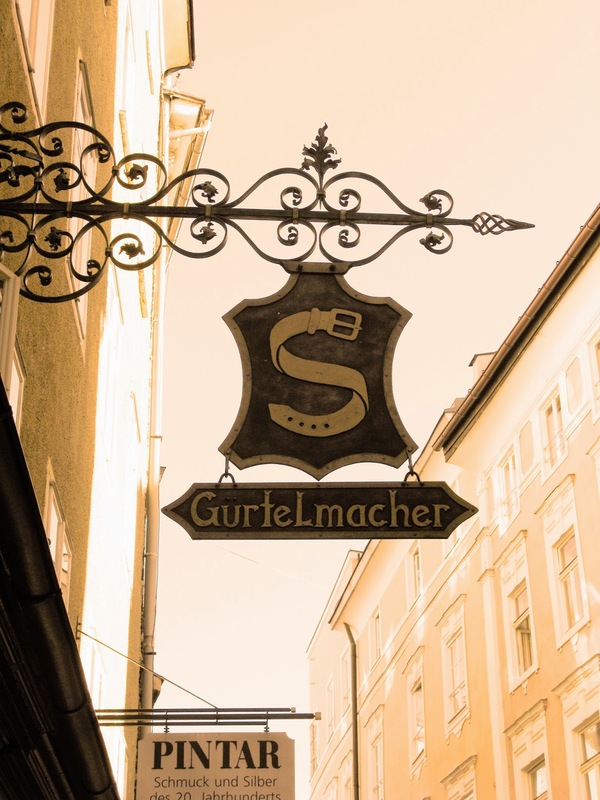 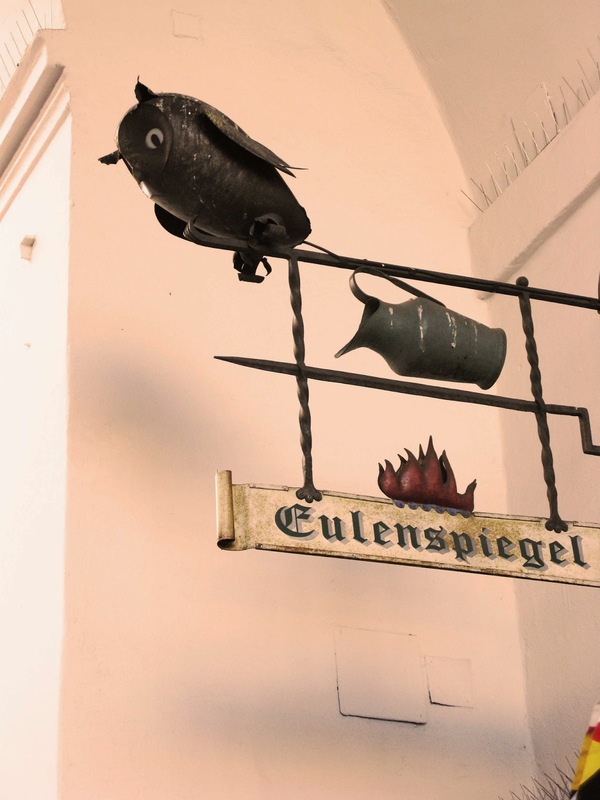 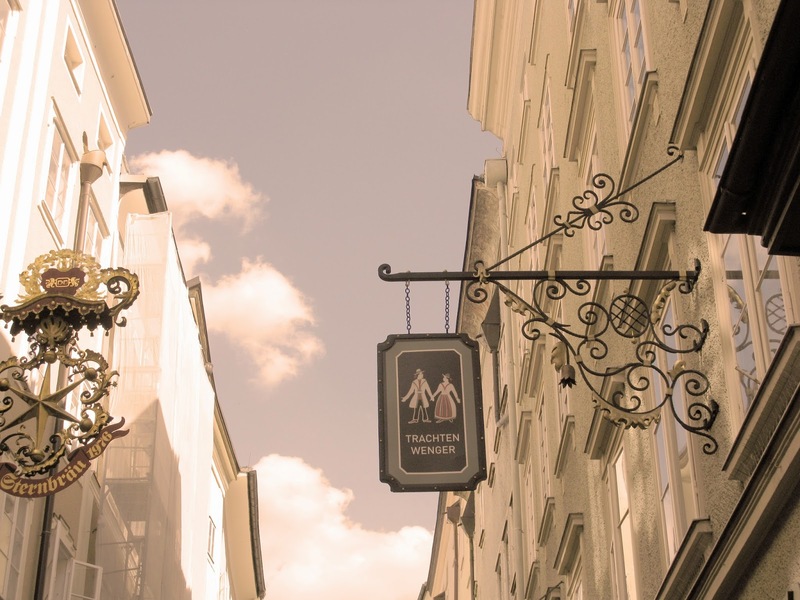 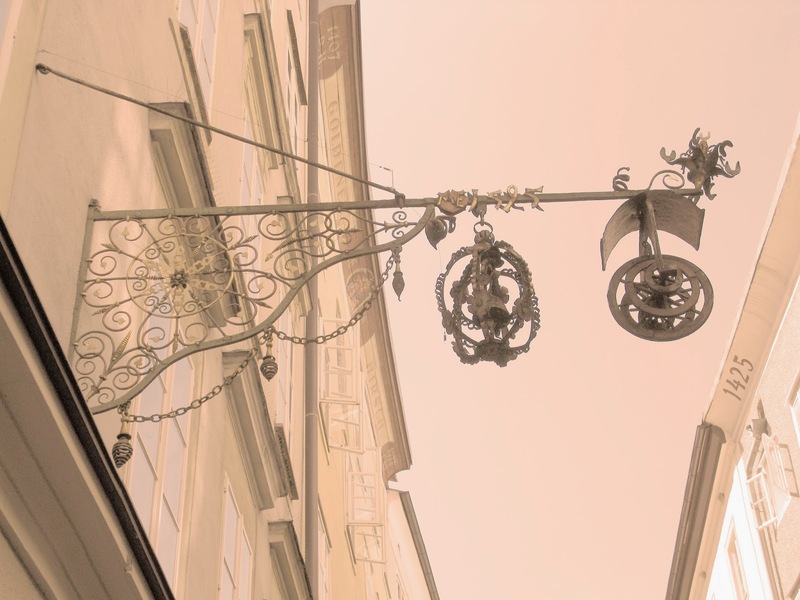 The city of Salzburg asks new businesses such as Palmers and Berlitz language school to make Hanging Shop Signs as well.